The size of your car: larger vehicles tend to be more expensive because of their weight and can sometimes take up two spaces. Your destination, the further it is the higher the cost will be. Terminal or door pick up and delivery. Door pick ups usually increase your price about $150 dollars. Truck or rail shipping: rail will definitely save you money, but it takes longer for your vehicle to be delivered. Enclosed Vs Open Carriers: open car carriers will save you an average of 60% on the final price. The choice is up to you! Check for any dents or scratches and make a note of it. The rules depend on the car shipping company and mode of transportation. generally when transporting your vehicle by rail there are no personal items allowed other than tires or baby seats. If you will be shipping by truck then some auto transport companies allow up to 200 pound in the vehicle. They may not be in the driver’s or front passenger’s seat and must not cover any windows. Personal items will not be covered by the car transport insurance, you will ship them at your own risk. How many days in advanced should I book? We recommend that you reserve your vehicle’s spot about two weeks in advance. There has been major growth in the car shipping industry so doing this will give the auto shipping company enough time to accommodate you. You can definitely book and drop off your vehicle on the same day, but keep in mind that the carrier may not depart on that date. Theres a high chance that the next shipments are already booked and your vehicle may have to sit in the terminal for a week or two. How can I save money when shipping my car? Terminal to terminal shipping will save you on average $150 dollars for the pick up and another $150 dollars for the drop off. It is best to find out where the terminal is and consider the option of picking it up yourself. Some companies will not charge for “meet the driver” service. This means that you will meet the driver at an open area near you. Also if you are looking to ship a high quantity of vehicles, most companies offer a discount. 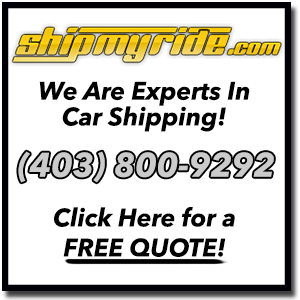 Obtain a shipping quote and check out our vehicle transport reviews.